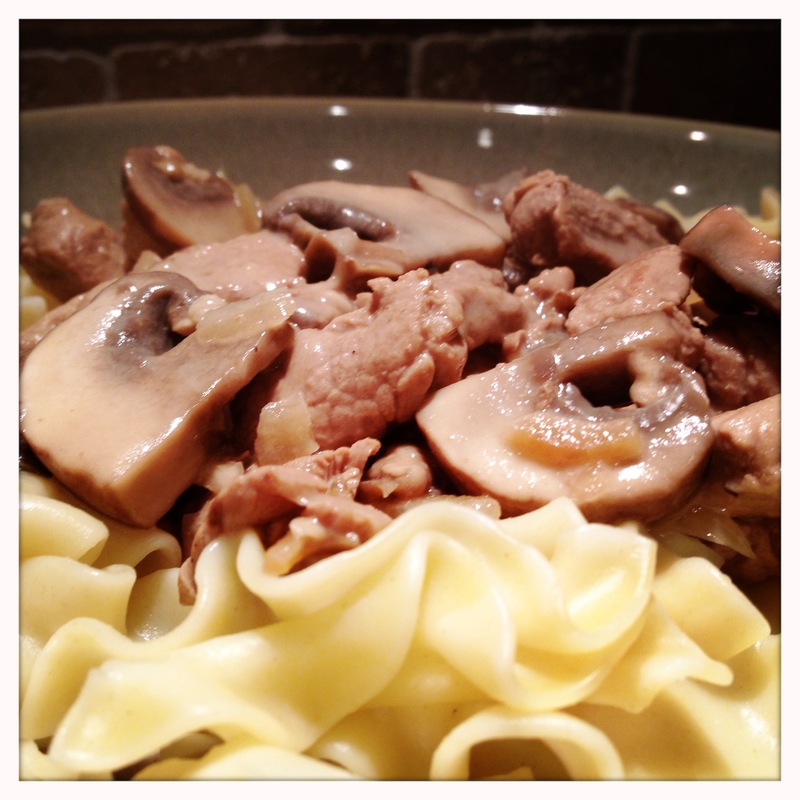 Stroganoff is a nice, simple, satisfying meal when the weather turns cold. It’s hearty, creamy, tangy and delicious. And, it’s easy. 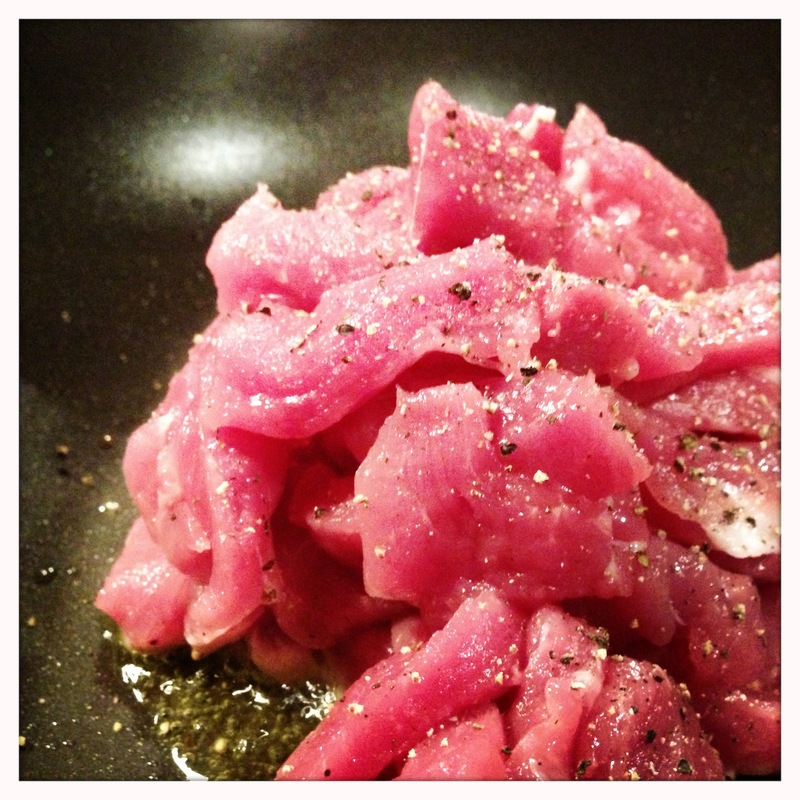 Traditionally, this is a beef dish, but I don’t think there’s any reason to limit ourselves to one type of meat with this dish. 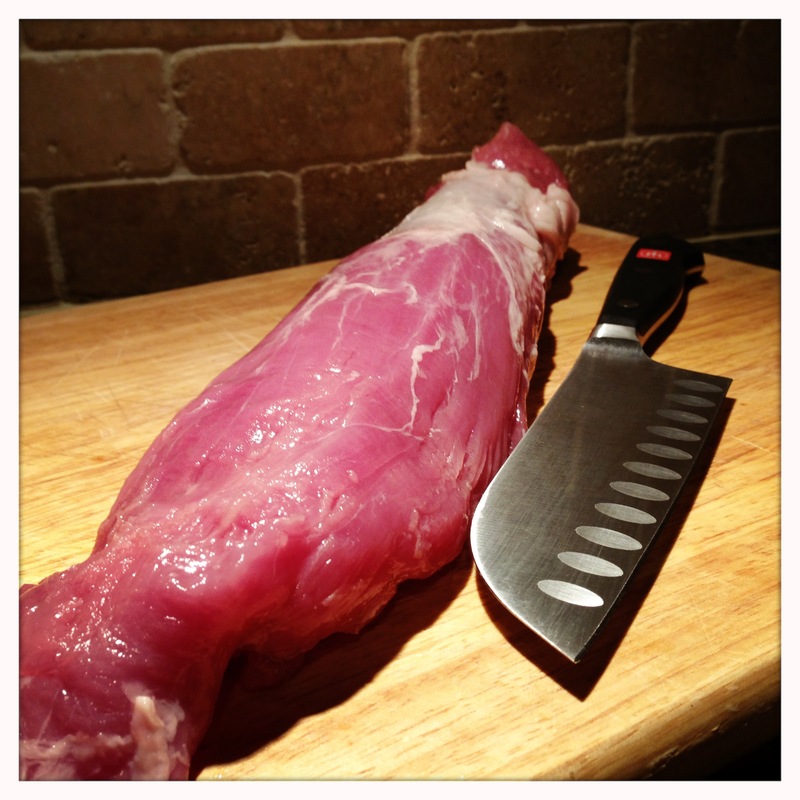 I have made it several times with chicken, and recently I decided to give it a shot with a pork tenderloin that was sitting in my freezer waiting to be eaten. The pork tenderloin turned out to be the perfect meat for this dish. 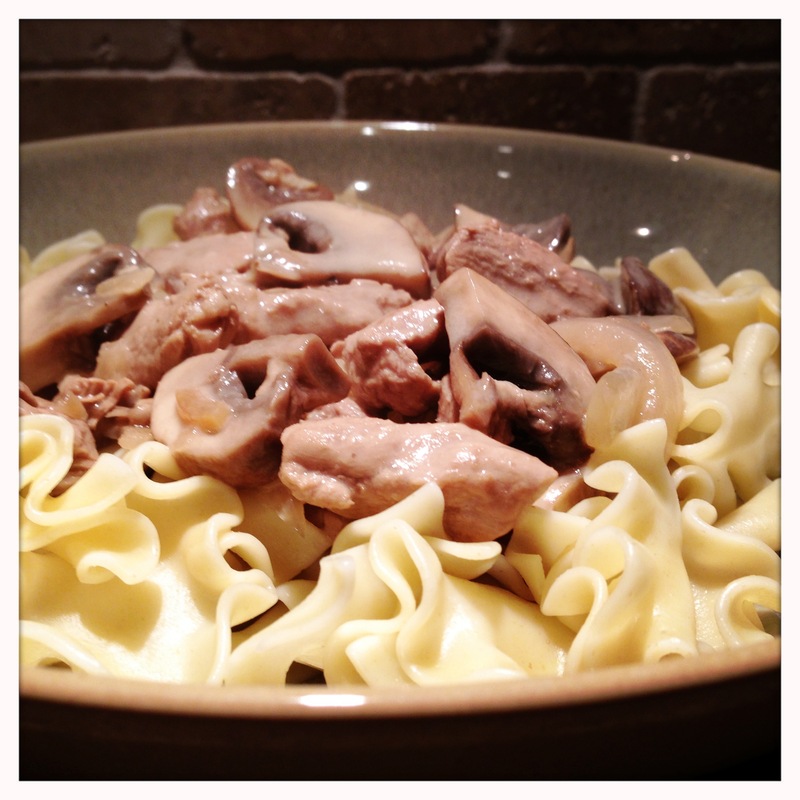 Very forgiving with cooking times, staying juicy and tender throughout, and just enough flavor to hold it’s own without overtaking the sauce or the mushrooms. While preparing your ingredients, heat a large pot of water to a rolling boil, add a bit of salt, and prepare a bag of egg noodles according to the instructions on the package. You can certainly use “better” pasta here, if you like, but nothing beats the taste or consistency of good old fashioned egg noodles for a recipe like this. In a large pan, heat some olive oil and start to brown the pork. Season with a little black pepper. 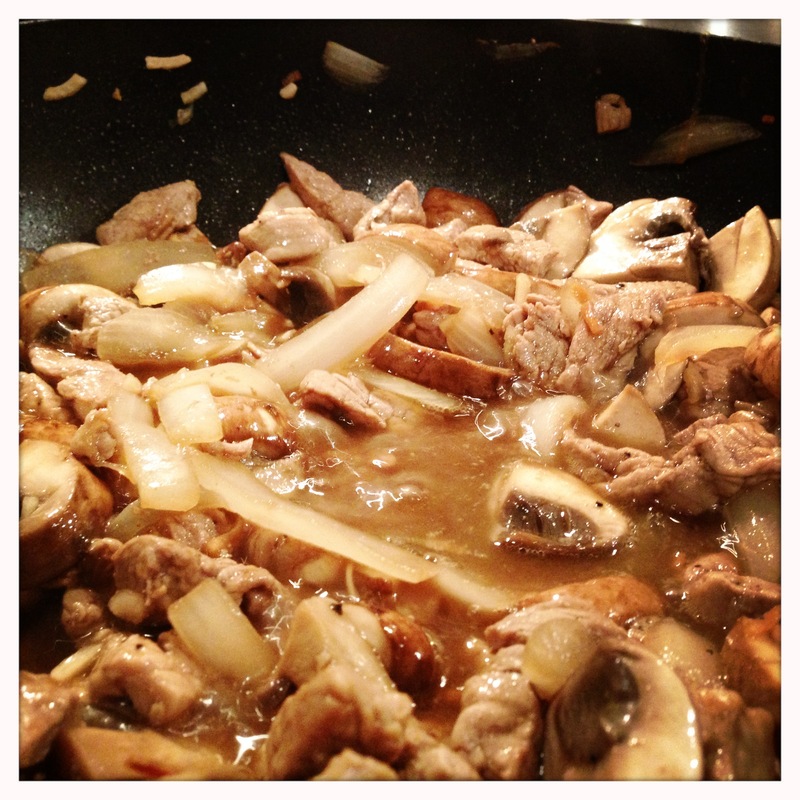 Once the pork has started to brown, add the onion and garlic and continue to cook until the onion starts to soften. Add the mushrooms and the worchestershire sauce. 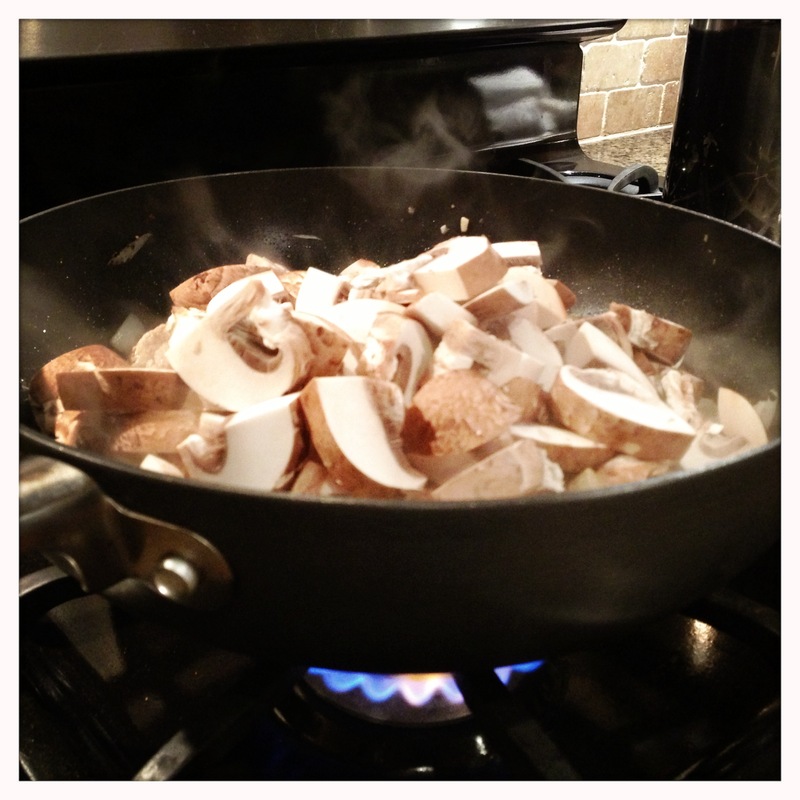 After adding the mushrooms, cover the pan, and let the mushrooms steam for a few minutes to soften. Then stir everything together and continue cooking the mushrooms. 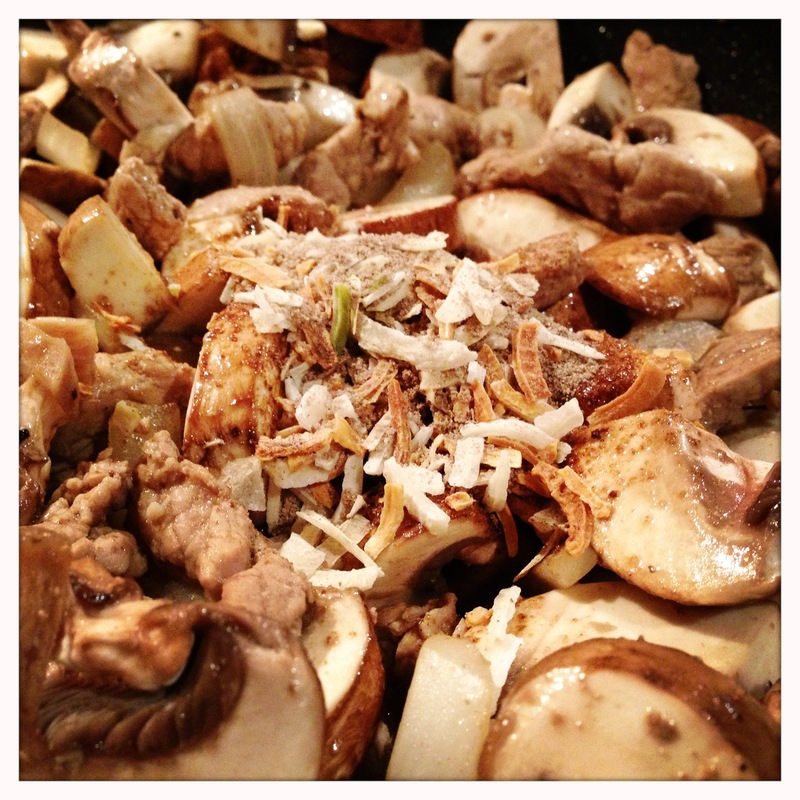 Once the mushrooms are almost completely cooked, add the onion soup mix. Once the soup mix has been added, pour the water over the soup mix. You only need about a quarter of a cup of water as there will already be moisture present from the cooking, but the water will help to dissolve the soup mix. Stir well to combine. Let this simmer over a lower flame for a bit to get the flavors to mingle and penetrate the meat. The noodles should be done by now, as well, so drain them and set them aside. Once you’re satisfied that the flavors have sufficiently mingled, it’s time to finish the sauce. Turn the heat down to low (or even off) and add the sour cream. Stir in gently over a low heat so that the cream combines with the liquid, but doesn’t curdle. Serve immediately over the noodles. I prefer to serve it in a shallow bowl to contain the sauce, but a plate works just as well. 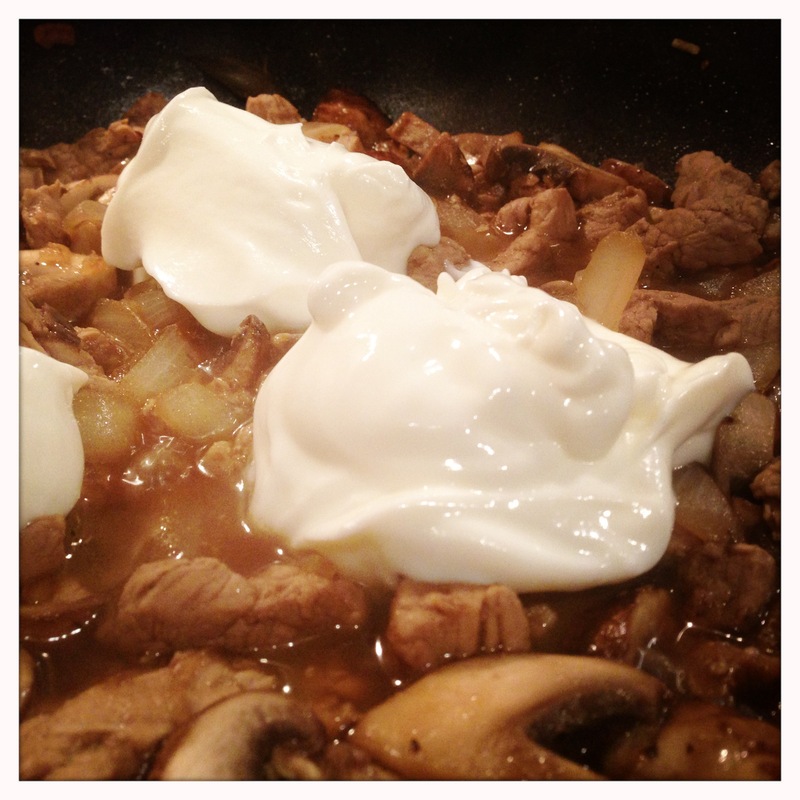 If the sauce is too thin, use a little less water next time or add a little more sour cream. If it’s too thick, thin it out carefully with a little water. The creamy sauce is typically a favorite with little ones, but the tanginess of the sour cream may take some getting used to. Egg noodles, however, are delicious at all ages. 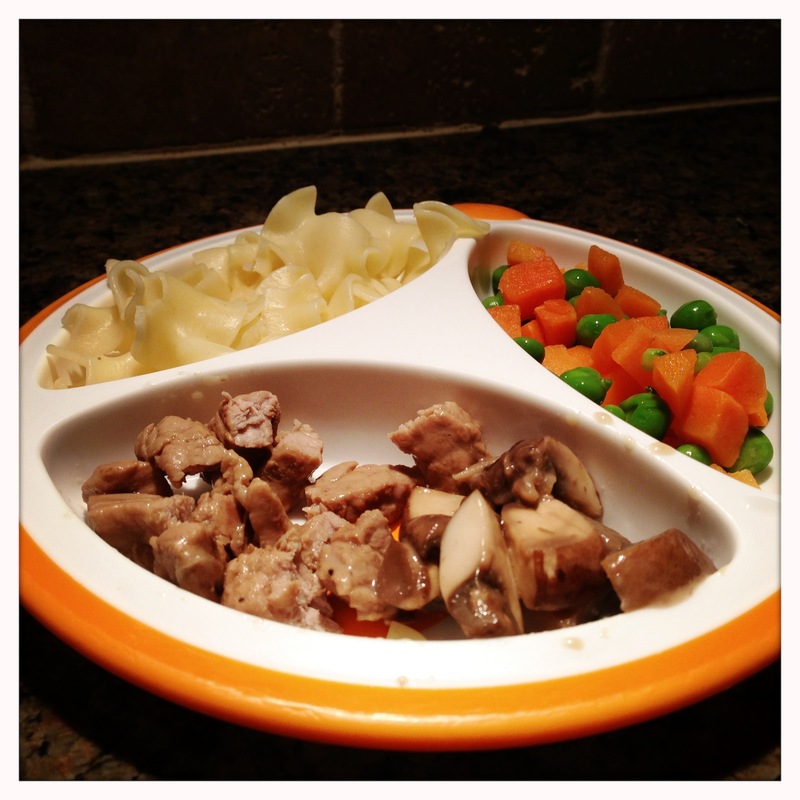 Serve this up with some vegetables for a delicious meal to be enjoyed by eaters of all ages. Enjoy!